Quickly becoming a Central Coast landmark, OstrichLand USA in Buellton is a popular destination and a great first stop when you’re headed to the quaint Danish themed town of Solvang, the Chumash Casino, or Santa Ynez Valley wineries. You can think of OstrichLand like a zoo. 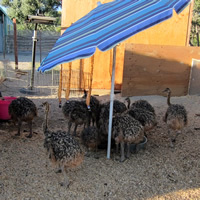 Our Ostriches and Emus are here for your enjoyment. 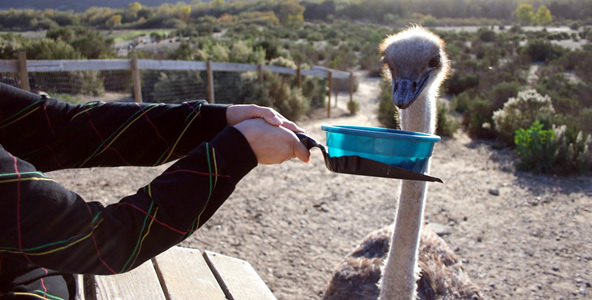 Visitors are invited to feed the animals, or just stand back and enjoy the interactions and antics of these unbelievably large birds. We have been hatching birds and will have babies for public viewing. As in the past, our babies are not for sale. They are fun to see. The best time for viewing chicks is during the summer months. They grow quickly and will be juveniles by the time winter arrives. 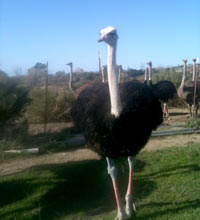 Next time you’re traveling through California, be sure to allow time for a stop at OstrichLand USA. 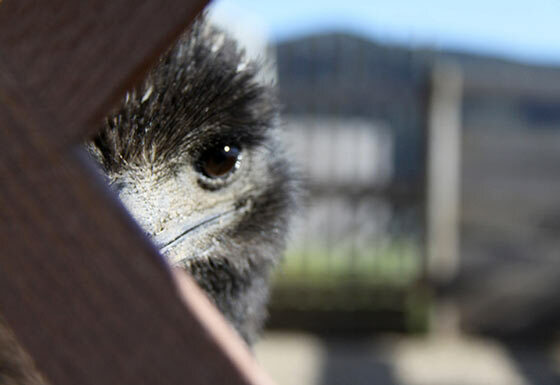 We’d love to meet you and introduce you to our captivating flightless friends. Our ostriches can be seen in the Fox Searchlight film Sideways, which features the Santa Ynez wine region of California’s Santa Barbara County? Our two-toed amigos have their first cameo appearance while Miles, Jack, Maya and Stephanie are driving to a picnic. Later, Jack gets acquainted with them on his trip from Buellton to Solvang. 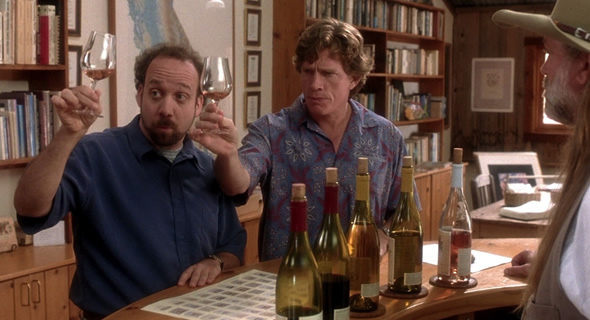 Because of this, OstrichLand USA is included on “Sideways, the map” a Santa Barbara County wine country tour inspired by the movie. 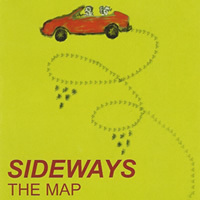 You can pick up your own copy of “Sideways, the map” here at OstrichLand or grab a copy online from the Santa Barbara Conference & Visitors Bureau and Film Commission. 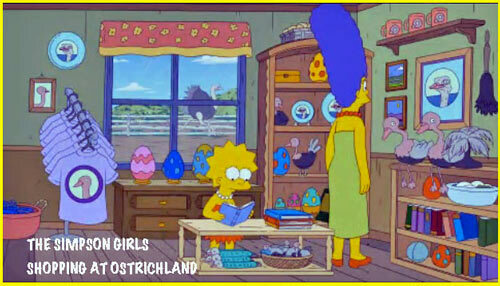 An episode of the Simpsons – entitled, “How Munched is That Birdie in the Window?” – features a Simpsons version of Ostrich Land. Crew members from the Simpsons visited the farm in 2010 to draw inspiration for the Simpson’s version, which they called “Ostrich World”.